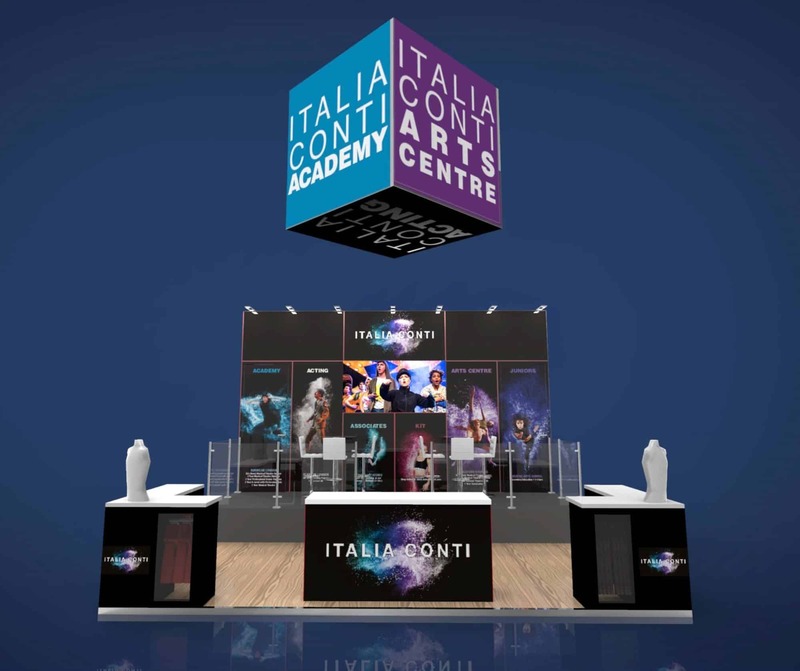 Italia Conti is Britain’s first Performing Arts Academy with a worldwide reputation for excellence. 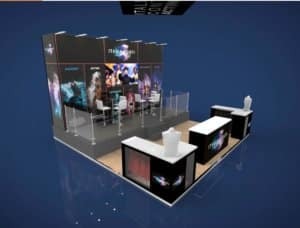 It invited Symbiosis to create a 6m x 6m three side open stand at Move It! 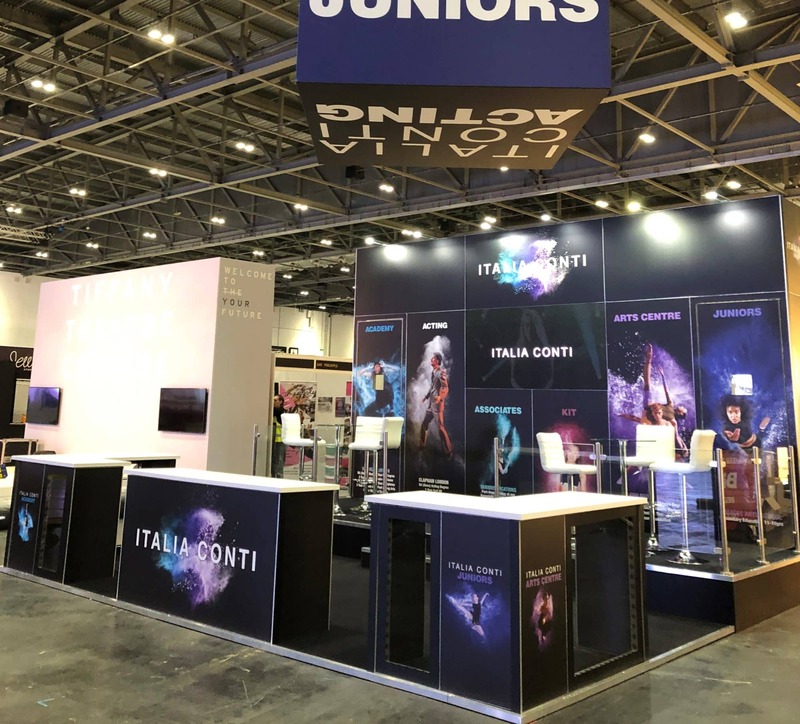 2019, the world’s largest dance exhibition, in ExCel London. 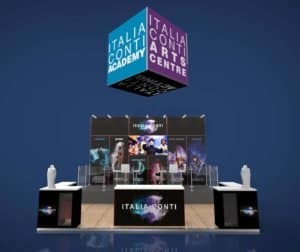 We travelled to Guildford meet the client at the Italia Conti Arts Centre. Following an initial chat, we determined that the show objectives were not just to raise awareness, but to meet new students & their parents, showcase the performance of the academy as well as sell branded clothing. As the space was in a fantastic position overlooking the main stage we suggested an impactful two level stand design. The ground floor was ideal for meeting & greeting guests as well as engaging with customers as they browsed the clothes rails. While the invitation only mezzanine level was perfect for more private meeting and for watching the on-stage performances. Following the clients brief our design team set to work creating a series of stunning 3D renders. 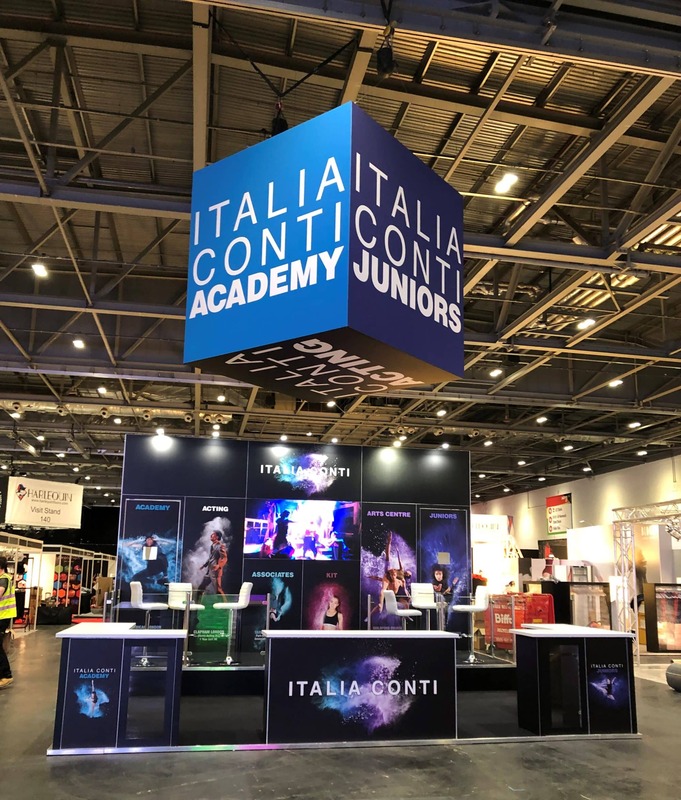 They suggested a huge cube hanging banner showcasing all the Italia Conti brands & visible right across the very busy exhibition hall. The rear display wall showcased beautiful Italia Conti graphics & a large LEDskin panel video wall running films of student performances. It also concealed a private area for the videographer to produce new content & a handy storeroom. On ground level our retail corner units with integrated rails enabled easy browsing while clear acrylic panels allowed people off stand to see the clothes on offer. A big welcome desk finished off the design. Did you find the ideas in the ‘Italia Conti at Move It! 2019‘ case study interesting?